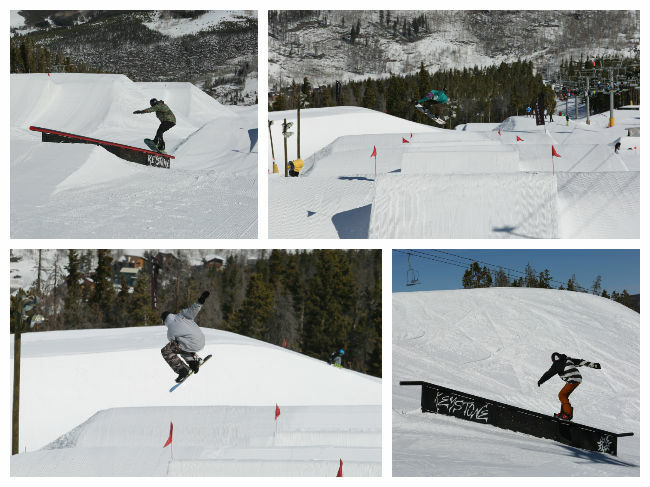 Whether you are just learning to ride park in Easy Street or taking your tricks to the next level in Main Street, A51 Terrain Parks has parks for all abilities and we salute the skiers and riders who lap A51. Each week, we pick one feature in the park for Feature Friday to get photos you lapping the park and share them in a gallery online. This week was the rails and jumps in Upper Park Lane. Here’s some of our favorite photos from the week. For the full gallery head to our A51 Terrain Park Facebook page here.